Against your will or better judgment, you may find yourself writing a BIG document (more than, say, 20 pages, possibly written over several weeks or months). BIG writing projects require you first to manage yourself; then manage your text; and finally, manage your technology. Self-discipline will help you survive and thrive on a large writing project. Short-term goals and mini-deadlines are useful. For example, set a goal of writing three pages before leaving the office today. I’ve actually forbidden myself to get up for any reason until I’ve drafted at least X amount of text. It may feel like a prison in your office sometimes, but it works. Such projected frustration is normal on a large project, but it does help to recognize that your emotions are a by-product of the process and not a permanent condition. Set a regular time to work on the project–and when done, walk away and forget about it if you can. Go easy on the caffeine to reduce jitters. Schedule regular exercise breaks after a certain amount of lapsed time working on the project. Plan little rewards and retreats for goals accomplished. Tackle the impossible parts early in the project when you have the most energy and can still pretend to like the work. Deal with the easier parts later, when you may be tired and sick of the whole project. Save the introduction and conclusion for the end, because only then will you know what you really said in the middle. Recognize that large writing projects will always have “holes” in the text. Learn to live with ambiguity and uncertainty until the very end. Use brackets to enclose what you need to research. Accept the reality that you’ll create lots of material that may be discarded, or if you’re lucky, may become “seeds” for other text. Hit “Control S” frequently as you work. Copy your digital file to an external hard drive or to the cloud as often as possible. Carry a digital copy on a memory stick with you until the project is finished. Store at least one copy away from your office. Consider e-mailing your final version of the day to a friend or to yourself. Make a paper file for every section of the document. 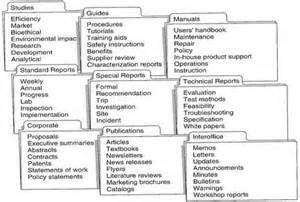 Create a master list of your filing system. As the paperwork grows, you’ll save lots of time by being able to locate paper easily. As you can see, there are many common-sense ways to manage the BIG project. Although you may not find yourself enjoying your work any better, you will be more productive if you manage yourself, your text, and your computer efficiently. ← Are you drowning in jargon?